This product typically qualifies for $71.50 in energy tax credits. 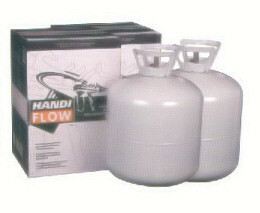 Handi-Flow™ Spray Foam is slower curing foam designed to fill and insulate larger cavities. It is dispensed using the patented Handi-Gun™ dispensing unit for accurate and precise applications. Due to its excellent adhesion properties, Handi-Flow™ drop fill insulation provides an excellent insulation by creating a continuous air barrier that completes the building envelope. This foam cavity wall insulation kit helps improve indoor air quality, lowers heating and cooling costs, and drastically reduces energy consumption. Handi-Flow assist in attaining ENERGY STAR™ rating and/or LEED credits. Temperature: Spray foam products are temperature sensitive. You can spray this spray foam cavity wall insulation kit in colder outdoor temperatures, the key is to keep the core temperature of the tanks within the proper range of 75-85°F. Warning: If using this product to fill and insulate existing wall cavities, use extreme caution not to overfill the cavity. Doing so could result in damage to sheet rock or other building materials. This slow rising foam can expand up to 8 times the initial volume. Due to its excellent adhesion properties, Handi-Flow™ drop fill insulation provides an excellent insulation by creating a continuous air barrier that completes the building envelope. This helps improve indoor air quality, lowers heating and cooling costs and drastically reduces energy consumption. Handi-Flow assist in attaining ENERGY STAR™ rating and/or LEED credits. Handi-Flow™ foam fill cavity wall insulation is designed utilizing a non-flammable blowing agent to assist in the safety of the end user. 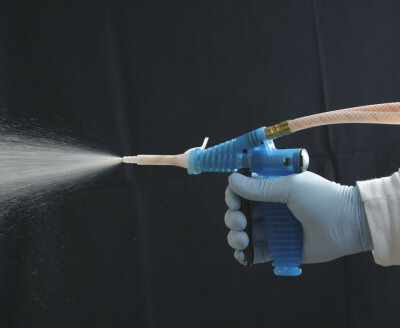 Handi-Flow™ spray foam, sealants and adhesives contain no Formaldehyde, CFC?s or HCFC?s. This product contains no VOC?s. *Product yield dependant upon proper core temperature. Two or more large kits typically cost less to ship via LTL Freight service. Note: Use this spray fill foam only according to the manufacturer's written instructions.